As Qatar Airways celebrates 10 years serving Australia in December 2019 it is amazing to look back at where the airline has come from in such a short time. Rather than leaping onto the aviation map Qatar Airways took a conservative approach to its growth starting with one Airbus A310 and one Boeing 767 and 75 staff on November 22, 1993. Operations began two months later on January 20, 1994, and the first services were to Amman in Jordan in May 1994. By April 1995 the network included destinations such as Abu Dhabi, Bangkok, Cairo, Dubai, Khartoum, Kuwait, Madras, Manila, Muscat, Sharjah, Taipei, Tokyo, and Trivandrum. The airline used leased aircraft for its modest expansion but in July 1998 it placed a firm order with Airbus for six Airbus A320s. But big plans were ahead and in 2001 it became Airbus’s ninth customer for the A380 with an order for two and two options. However, that was just a taste of what was to come. At the 2003 Paris Air Show, Qatar Airways placed an order with Airbus valued at US$5.1 billion for two Airbus A321s, 14 Airbus A330s, and two Airbus A340-600s. And in 2003 Qatar Airways became the first airline to be audited under the new IATA operational safety audit (IOSA) program. Another massive order came in 2007 when the airline ordered 80 Airbus A350 XWBs and later that year ordered 65 Boeing 787s and 27 777s and these fleets have been the bedrock of the airline’s expansion over the past 10 years. With the best from Airbus and Boeing, the airline turned to its in-flight product and again excellence is not negotiable. 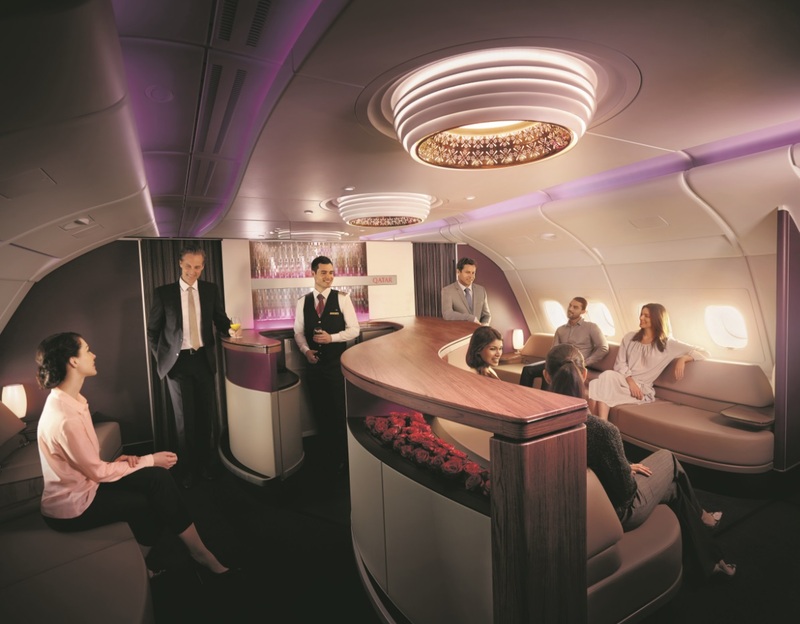 Qatar Airways has won countless prestigious Skytrax awards for its service and overall product with four Airline of The Year awards and World’s Best Business Class six times. The flagship Qsuite business class, which won the highly-prized Airlineratings.com Best Business Class for 2019, is a standout product that sets the airline apart from all others. Qsuite is spacious, private, well-designed and is packed with features designed to make travel more productive and comfortable. It is a whole suite featuring a sliding privacy door and enough room to sprawl out comfortably, feet on the ottoman, without having to worry about swapping things around to make space. 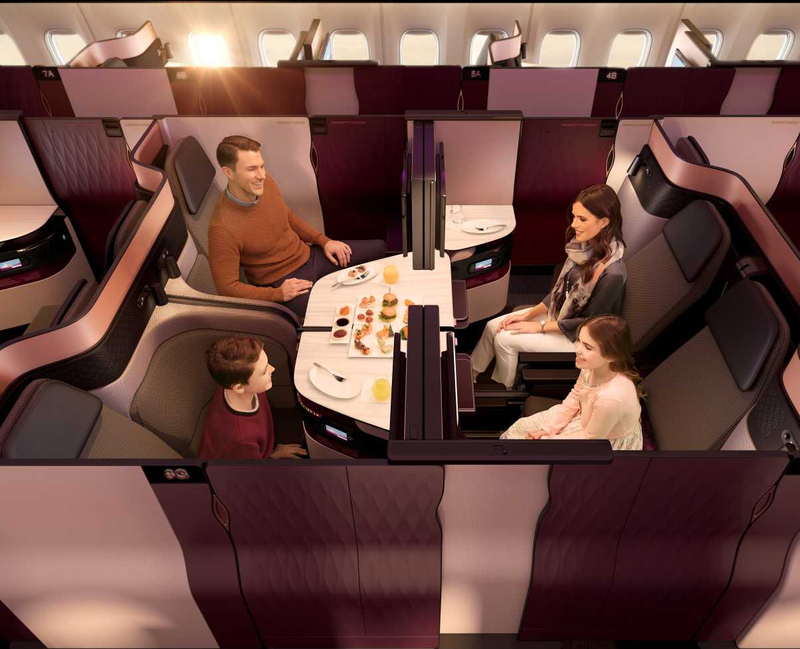 Combine it with Qatar Airways’ top-notch service, food, and in-flight entertainment and the Doha-based airline has a winner. The suite is dominated by a giant, 21.5-inch high definition touch screen that is both crisp and responsive. It is complemented by a pair of decent noise-canceling headphones, and the latest version of Qatar Airways’ Oryx system has some 4000 options, including a good selection of movies. A generous secure storage compartment underneath the big padded armrest next to the seat holds the headphones and water and features a small bridge to keep smaller items such as glasses. A full countertop is big enough to cope with magazines, menu, spare pillows, and other bits and pieces. Underneath is a lit shelf for parking laptops and tablets. Variable seat controls allow you to recline or move the seat forward and backward and adjust lumbar support. There are four presets: lie flat, fully upright, take-off and recline. Options for charging devices include an illuminated USB port and a power point. A second USB port and an HDMI connection are around the corner. 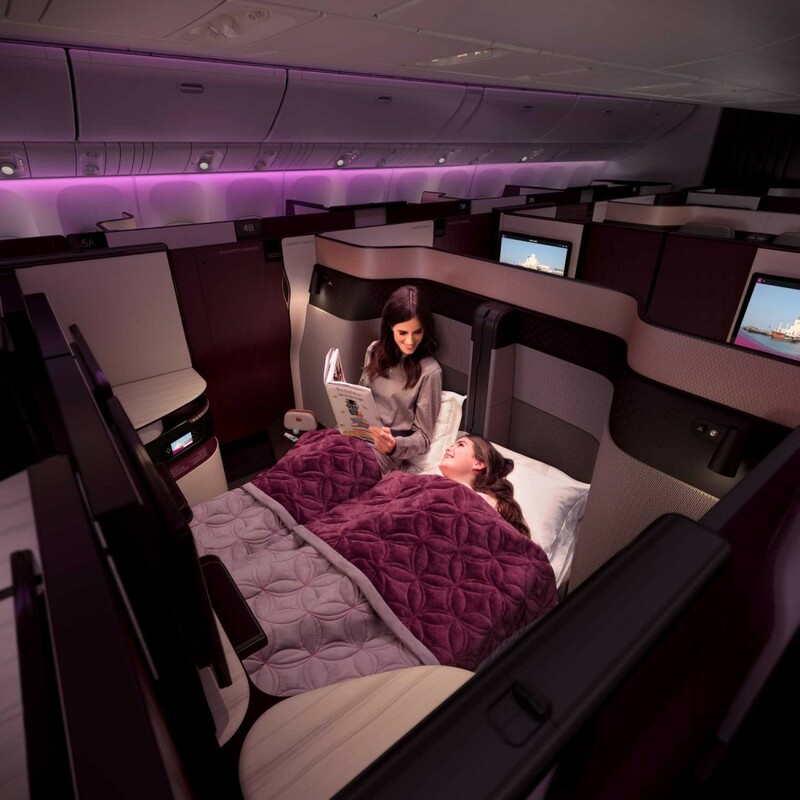 The airline also has an on-demand system for ordering, but Qatar Airways’ attentive and personable cabin crew regularly ask if anything is needed. The attention to detail is faultless. Qsuite is being progressively introduced on the airline’s A350s and 777s and a slightly modified version is to be installed in the airline’s A380s and 787s. The airline also excels in catering with premium classes getting restaurant standard delivery and this also sets a higher bar for the service and food in economy. 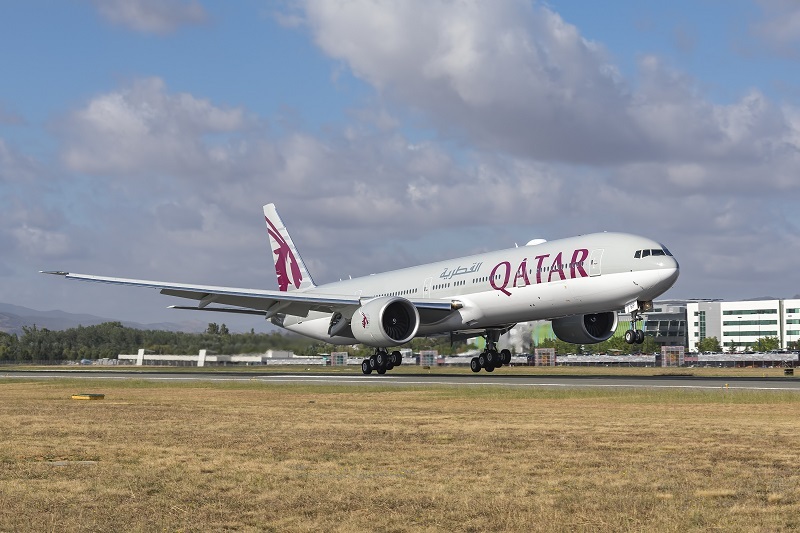 Qatar Airways is fully committed to the Australian market with its flagship A380 aircraft on 3 of its 6 Australia and New Zealand destinations. Today the airline flies to over 160 destinations, including over 55 European cities. 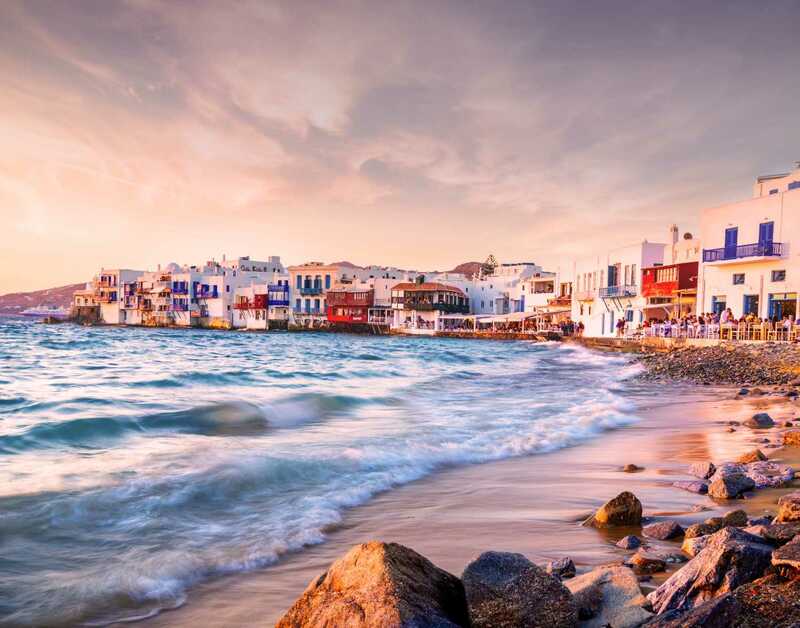 Last year Qatar Airways added flights to Cardiff, London Gatwick and Gothenburg, and seasonal flights to Mykonos, Antalya, and Bodrum and flights to Malta start from June 2019. The centerpiece of the campaign is a charming and visually stunning film portraying one family’s journey with Qatar Airways. Qatar Airways group chief executive His Excellency Akbar Al Baker said: “This campaign embodies everything at the heart of Qatar Airways’ brand values, as well as the pride we share in providing exceptional service to our passengers across the globe. 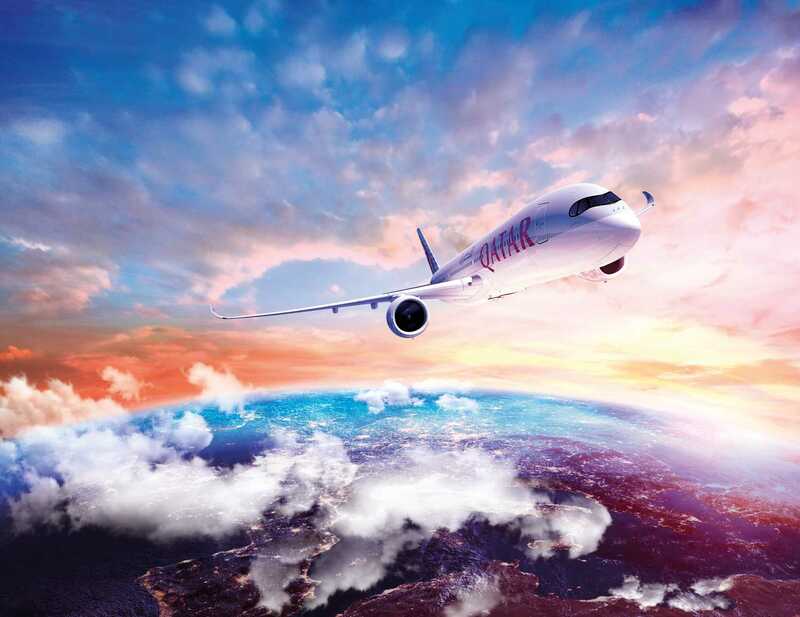 “The aim is to inspire and delight the viewer and open them up to the possibilities that Qatar Airways has to offer to more than 160 exciting destinations around the world. Qatar Airways senior vice president marketing and corporate communications Salam Al Shawa said: “This brand film is different than anything Qatar Airways has ever done before. “In many ways travel is a dream, a fantasy – and we have focused on these elements to create a film that takes the passenger on a magical journey. Greece is one of the many Qatar Airway’s destinations.